Fetco makes two model lines of brewers – the Extractor ones – that come with names like CBS-2131XTS-1G, and models with names like CBS-51H-15. We’ll keep this part short, but it does add some perspective – just like history usually does. Fetco was begun in 1987, which was later than most of their competitors. Bunn, for example, dates its history back to the 1950’s, and Wilbur Curtis dates back to 1941. Fetco was started by veterans of the coffee brewing world, however, so it did not take them long to get up to speed. They were known for making brewers especially for brewing specialty coffee instead of standard office coffee, and their early CBS Handle-operated models became a favorite for Starbucks and other “Third Wave” coffee shops. 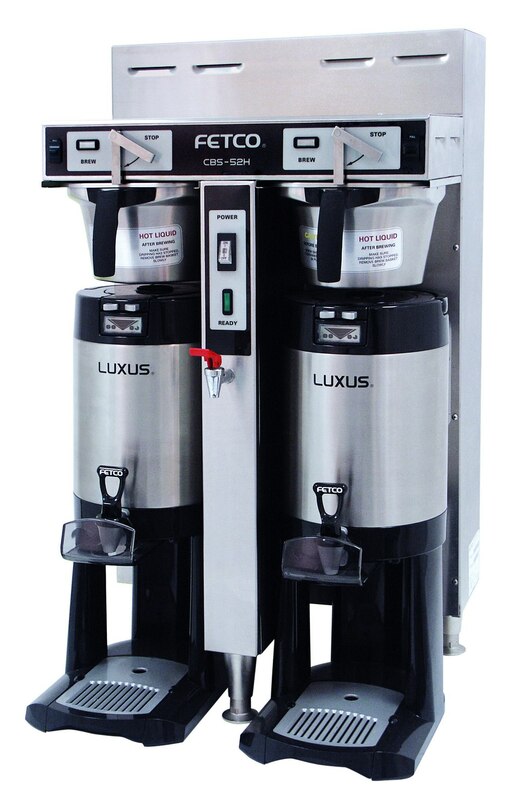 Especially popular was their introduction of the LUXUS fully-insulated, portable coffee dispensers that kept the coffee warm for hours without subjecting it to damaging heat. The old-style handle-operated brewers used a simple handle to lock the filter basket in place and begin the brewing process. These brewers also featured Fetco’s first patent – the Gravity Flow Dispense Tube System, which was designed to reduce lime built-up and to allow for a steady flow of water into the brew basket. The CBS Handle-operated models are still made and are still popular. With innovation comes new features, and Fetco’s Extractor series of brewers brought the new, innovative features to the people – by way of the coffee shops. They were introduced in 2000. 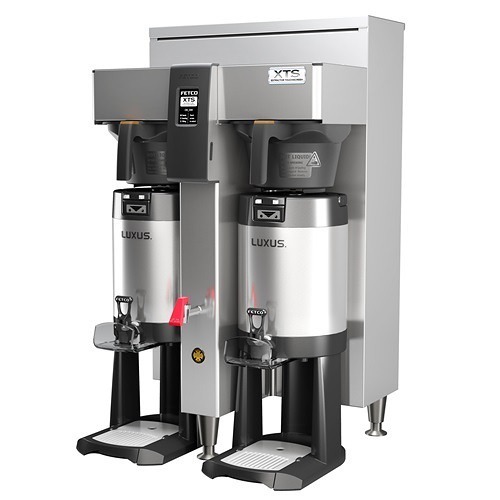 In 2014, the newer XTS Extractor Touchscreen Series Coffee Brewers were introduced, and the original Extractor brewers were phased out. What Does the Extractor Brewer Have That the Handle-Operated Brewer Doesn’t? When the Extractor brewers were introduced in 2000, Fetco brought the coffee world the Cascading Spray Dome and Pulse Brewing. 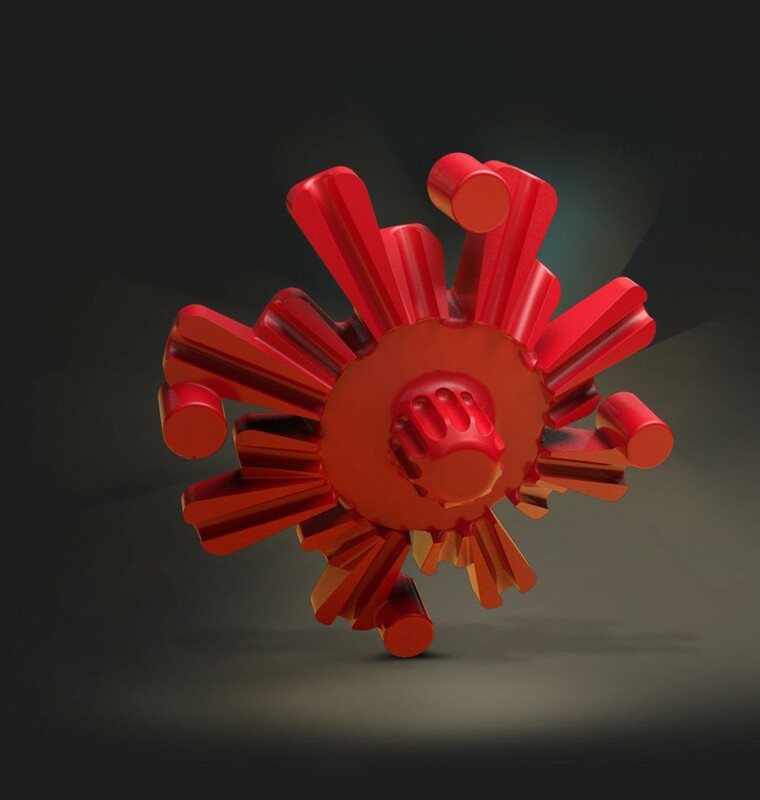 The Cascading Spray Dome distributes water evenly over the grounds and allows for consistent flavor extraction. The pre-wet cycle and pulse brewing allow for perfect saturation and extraction of flavor. With the interface on the Extractor brewers, it is easy to program brew time, brew volume, pre-wet percent, pre-wet delay, and drip delay. Brewing profiles can be entered tha are customized for each type of coffee brewed. Which Brewer Should You Buy? We sell more of the Extractor Brewers than we do Handle-operated. The newer technology makes it easy to fine-tune the brewer to extract the most flavor from the coffee. However, some people still like the simple technology of the handle-operated models. If you are a coffee shop brewing many different types of high quality coffee, the Extractor is probably the best option. If you just need to brew large volumes of basic coffee, the handle-operated brewers will suffice. Both kinds of brewers are in the same price range. Featured photo by sacks08 by CC-BY-2.0. Fetco Brewers and Cascading Spray Dome photo by Fetco.